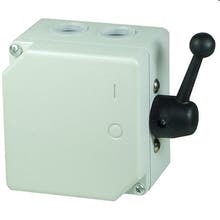 3-pole cam switch on/off im robusten cast aluminium-housing (cast-encapsulated) with switching knob for electric motors. 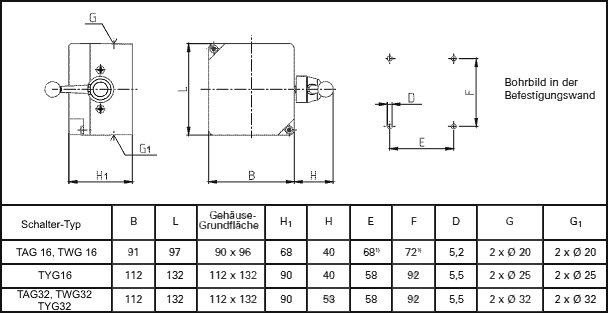 The switch is screwed to the inside of the machine (refer to drill image for dimensions). A replacement of the integrated cam switch is not available anymore.